SHEIKHNAZIMALHAQQANI.COMhttp://sheikhnazimalhaqqani.comsheikhnazimalhaqqani.com - Darwinism-Watch - Recently AddedenCopyright (C) 1994 sheikhnazimalhaqqani.com 1SHEIKHNAZIMALHAQQANI.COMhttp://sheikhnazimalhaqqani.comhttp://harunyahya.com/assets/images/hy_muhur.png11666Why are the claims about genetic drift invalid? From time to time, various terms are thrown out to advocate on behalf of evolutionary theory. Typically, these terms are repeatedly used in well-known science journals or websites with no regard to their rationality or scientific validity. The objective is to mold public opinion in order to sustain the evolutionary theory. “Genetic Drift” is one those imaginary evolutionary mechanisms used for this purpose. The terms “Mutation and Natural Selection” are frequently utilized in a twisted fashion while claims about genetic drift are discussed. Contrary to the scientific facts, these terms are introduced as if there are “processes in nature that work in favor of the evolution and lead to a coincidental acquisition of new genetic data”. However, these processes, which lead to the loss of data rather than acquisition, actually constitute evidence for the invalidity of the evolutionary theory instead of its validity. What does the alleged Genetic Drift mean? The word “drift” in English means “to be carried along by currents of air or water,” and “to proceed or move unhurriedly or aimlessly.” Therefore, the intent with the use of the word “drift” which holds connotations of coincidental changes - the fundamental basis of the evolutionary ideology - can clearly be seen here. The allegation of Genetic Drift stands on discourses such as “within a biome, there can be changes in the frequencies of multiple different features of a gene due to artificial or natural events,” and the like. It is claimed that these alleged coincidental changes can cause one particular feature to dominate in an entire population or, alternatively, completely disappear from that population. Now, let’s explain this issue with some examples from evolutionary sources. Expressions such as “the bottleneck hypothesis” and “the Founder effect” do not provide evidence for evolution. 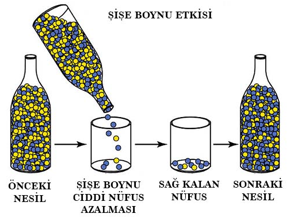 One of the mechanisms of Genetic Drift, as alleged by Darwinists, is the “Bottleneck Effect.” The first bottle in the figure above (previous generation) represents the first form of the population. Here, it is assumed that a new population is born from the members of a population which survived a natural disaster or disease that killed the majority of the population. Within this population, the frequencies of some features may change as well; for example, let us say that 10 people survived an earthquake that occurred on an island where 100 people resided. When the population is reconstituted by the remaining ten, only the features of the survivors will be seen in the new community. Had the 90 people who died possessed different features, it would not be seen in the new community. Actually, even if that were the case, it would clearly not be a process of evolution. Another mechanism that is put forth as evidence of genetic drift is called the "Founder Effect." According to the “Founder Effect”, changes in the frequency of a population living in a certain region may be observed due to the immigration of a certain part of the population or the isolation of a large proportion of the community and the results of such phenomenon is presented as evidence of evolution. The mechanism of Genetic Drift does not lead to changes in a creature or formation of a new species as alleged. When the explanations above are carefully read through, it can be seen that the Bottleneck and Founder Effects would have led to a decrease in the variation of species, rather than an increase. In the event called Genetic Drift, what happens is “NOTHING but a change in the representation rate of genetic content in a population that already exists at the beginning.” Moreover, once the mentioned feature in the population has perished, contrary to the allegations of evolutionists, the genetic variation at the beginning decreases. As is seen, since genetic data acquisition does not occur, Genetic Drift cannot be introduced as an evolutionary process. The fact that epigenetic regulations are introduced as genetic features is a scientific mistake. In general, Darwinists make a crucial mistake in the examples they give to prove their theories. In their allegations with regards to natural selection or Genetic Drift, they give examples based on phenotype, not genetics. For example, in the first figure above, the example of the color of insects is a difference in phenotypes, and there is no difference among the insects in terms of their genotype or color genes in particular. Genes that code color pigments are determined through epigenetic regulations, which is related to either the openness or closeness of certain genes or the time the gene has remained active for. The same goes for the colors of the flowers as well. In fact, the color regulation, just like we can see with the wings of butterflies, is not merely a pigment-based phenomenon in some living beings but occurs completely as a physical phenomenon related to differences in light refraction. This is explicit evidence showing us that color determination is not based on genetics. Therefore, in the examples above, it cannot be said that a genetic feature overpowers another one through Genetic Drift. The siblings born from the same mother and father do not look exactly the same because of the intermixing of genes with different epigenetic layouts. During the formation of sperm and ovum, chromosome pairs exchange genes in a reciprocal manner through a mechanism called "crossing-over." The different combinations of this gene exchange cause siblings to be quite different from one another. The fact that even those siblings that are considered to be closest to each other genetically have different phenotypes shows that the epigenetic effect is of vital importance, and constitutes another evidence demonstrating that phenotypic differences cannot be introduced as examples of Genetic Drift. Differences within a species are very little, if any. The main feature that distinguishes one species from another is that the genetic differences among that species are very little. This difference is smaller than 0.1% in humans, which means that even if you were to compare two humans of different ancestries living far apart from each other, the difference would amount to this ratio at most. Moreover, 85% of this small difference exists among the members of a community who are of the same family. Many of the differences are in areas not involved in coding genes, which means that the genetic sequence of the proteins functioning within a cell is the same in all humans. The only exception to this are genetic diseases affiliated to mutations. It is clear that these diseases are harmful to living creatures, not beneficial. In both closed and small populations, an increase in genetic diseases may be observed. This depends on the increase of possibility of the same genetic disease carried by both the mother and father, and since genetic diseases are harmful, they cannot be evidence of evolution. It would not be possible to talk about Genetic Drift within a species consisting of members with the same genetic structure; this is because even if the majority of the members of that population died for different reasons, the remaining members will have the old genetic structure if they keep reproducing. The Darwinist mindset that attempts to explain the history of life through coincidental changes face many challenges. According to the evolutionist point-of-view, the occurrence of new genetic data and the formation of new species in the long term should be explainable without the existence of a supernatural consciousness (which is unthinkable). Therefore, many irrational and ridiculous stories based on cause and effect relationships that force even the limits of imagination are being written and told. There is one fundamental point that is being overlooked in these stories: Being scientific. The fundamental basis of science is that it proceeds upon concrete evidence that is acquired through observations and experiments. Evolutionists, who introduce themselves as so-called "unbiased scientists who are free of beliefs," use these would-be stories without relying on scientific data when they face a roadblock. They try to interpret every issue in favor of evolution, which makes them drift away from science, not to mention being impartial. This is the origin of the problem. The allegation that Genetic Drift is one of the processes of acquisition of new genetic data is completely unfounded. This allegation, which we have explained with many examples above, is wrong from the very beginning as it is not possible to talk about the existence of a gene drifting. The process that is called Genetic Drift causes the variations in species to narrow down or disappear entirely, not vary, and this contradicts what evolutionary theory argues. However, the evolutionists, who cannot put forth even a concrete hypothesis on the appearance of life and species, hold on to their imaginary stories of evolution such as Genetic Drift wholeheartedly and try to present them as scientific facts. But when these notions are examined thoroughly, it can easily be seen that they are unfounded and unscientific. All living species appear in history perfectly and instantaneously. They continue their existence from the moment they appear without changing genetically. This is a fact supported by all scientific evidence. This proves that an evolutionary process has never taken place, and that all living creatures were created by God. ]]>http://sheikhnazimalhaqqani.com/en/Darwinism-Watch/265031/why-are-the-claims-abouthttp://sheikhnazimalhaqqani.com/en/Darwinism-Watch/265031/why-are-the-claims-aboutMon, 04 Dec 2017 22:19:07 +0200The Book Sapiens-A Brief History of Humankind and the Author Yuval Noah Harari’s Evolutionist History Delusionhttp://sheikhnazimalhaqqani.com/en/Darwinism-Watch/258072/the-book-sapiens-a-briefhttp://sheikhnazimalhaqqani.com/en/Darwinism-Watch/258072/the-book-sapiens-a-briefSat, 23 Sep 2017 16:01:19 +0300A new fossil refutes the lie about evolution of the insectshttp://sheikhnazimalhaqqani.com/en/Darwinism-Watch/258071/a-new-fossil-refutes-thehttp://sheikhnazimalhaqqani.com/en/Darwinism-Watch/258071/a-new-fossil-refutes-theSat, 23 Sep 2017 16:00:28 +0300The Evolutionist Tale Which Claims That "Blenny Fish Are Going Through Evolutionary Process"
Last March, many scientific websites, the New Scientist website in particular, published articles regarding the Blenny Fish (Alticus arnoldorum). The articles featured a study carried out by Terry Ord, a researcher from New South Wales University in Australia, and his colleagues on this fish species. According to the research, these fish species are found swimming in rock pools around Rarotonga Island in the South Pacific Ocean when waters ebb during low tide and they climb up to rocks during the flow in high tides until the waters ebb. In order to identify the reason why the Blenny fish climbs on rocks during high tide, the research team used 250 plasticine models of the fish. Leaving half of the models submerged in and the other half out of the water, scientists saw that during the flow, the models submerged in the water sustained three times more damage than those out of the water. In other words, the Blennies seek refuge on the rocks to avoid large animals such as iguanas, eels and sea otters when water levels rise due to ebb and flow. And they return to water when the sea levels are low once again. Does not possess the most essential organs to dwell on land; the legs. Can absorb little oxygen through its skin, but its main means of respiration is its gills, which requires being in water. ears and eyes equipped with qualities allowing them to properly function in dry air. The Blenny fish cannot survive as land-dwellers so long as they do not possess all of these properties and would die before long. The contradictory evolutionary explanations featured in this news report are not limited to these matters, either. For example, in another article on the subject, it is stated that [ii] it is not possible to estimate how long the Blenny fish can remain out of water, yet it was claimed that "some blenny fish spend nearly all their lives out of the water." However, these contradictory statements do not even clarify which Blenny fish species possess such ability. Until today, evolutionists have tried to introduce several fish species as the so-called predecessors of amphibians. However, there is a scientifically undeniable fact that a fish must go through myriad changes before it can transform into an amphibian and such a transformation would require a large number of part-finned - part-footed, part-gilled- part-lunged transitional life forms to appear during this transformation period. But not even a single sign of such living beings has been found in the fossil record. Among over 800 million fossils that have been discovered to date, there are full fish and full amphibian species, yet not even a single transitional life form that is part sea creature, part land creature. The fang blenny is a small-size species of fish having quite large teeth compared to its body. These fish, about 5 cm long, living in the ocean may be considered to be vulnerable at any moment. However, as a manifestation of His eternal mercy, our Lord created these tiny creatures with a special defense system for protection. The name fang blenny is in fact derived from this defense system of the fish. The fish has two large canine teeth that jut out of its lower jaw. However, these teeth are like a giant factory full of chemical weapons. When attacked, the fish uses the venom hidden inside its teeth to defend itself. This venom, functioning as a chemical defense weapon, repulses the attacker and allows the fish to move away safely. When other fish prey on the fang blenny, the predator would naturally bite it before swallowing. This allows the fang blenny to inject its venom into the predator’s body. Once the venom is injected, the neuropeptide and opioid components cause a sudden drop in blood pressure, leaving the blenny's attacker disorientated. The predator’s mouth opens, thereby allowing the fang blenny to escape safely. Furthermore, the predatory fish is not capable of chasing the fang blenny afterwards as the effect of the venom lasts for a while. There is a very important point here: It wouldn't be possible for the fang blenny to escape safely out of the mouth of the predator if it weren’t for the constituents of the venom that existed from the very first moment of its existence. Otherwise, it would be impossible for the fang blenny to move out of the predatory fish's mouth unharmed, falling prey instantly. For that reason, these three chemical components of the fang blenny’s venom should have existed since the very first moment of existence. This demonstrates that the complexity of the venom system of the fang blenny undermines any claim of blind coincidence. Blennies, like all other life forms, exhibit a complexity so superior that even the most advanced technologies are unable to reproduce it. And, like all other life forms, they, too, are living proofs of God’s flawless creation. The claim that one day fish moved from sea to land and developed lungs and feet by virtue of blind coincidence is nothing but a delusion. The undeniable fact is that Almighty God created these living beings in their perfect form. Being exhibited recently in some science sites and magazines, and also in Australia's Victoria museum, the fossil remains belonging to the 25-million-year-old Aetiocetid type whale named Alfred, have been put forward as the so called evidence for the evolution of whales. This is an extremely interesting situation, because evolutionists intend to support the myth of evolution of the whales based on a single tooth from these fossils which actually prove creation, and they try to demonstrate Alfred as a transitional form. Baleen whales have always been a major dilemma for the theory of evolution. Until now, it has not been possible to fabricate evolutionary myths between toothed whales and whales which have a pectinate filter structure called baleen instead of teeth. The reason for this dilemma is the unique baleen structure of the whales. Baleens are a comb-like structure located in the mouths of the whales instead of teeth and enable them to filter and capture the krills or small fishes. Due to the baleens' shape which is similar to a stick made of bone; this type of whale is also known as the whalebone whale colloquially. Struggling to explain this complex and perfect system, evolutionists have put forward the "myth of whale teeth turning into baleens over time"; and also tried to claim this fossil called Alfred, belonging to a wholly extinct species of whale, as evidence for this so-called transitional form. However, this claim contains many scientific errors. First of all, Alfred is from Aetiocetid species. Aetiocetids are not the ancestors of baleen whales; they are species of extinct toothed whales. The presence of a tooth in the mouth of the fossil has already proven this fact. Then why is this fossil, which has no baleens in its mouth, is tenaciously imagined to have baleens by Darwinists, even though the fossil belongs to a toothed whale? Evolutionists claim that some of the scratches found on a single tooth of the fossil were made by baleens rubbing against the teeth. However, this assumption was made with the presupposition that the teeth and the baleens were present at the same time in the mouth of the whale. Thinking that these scratches were made by non-existent baleens are far from scientific, it is a personal interpretation. Scratches can occur on human teeth too, due to various anatomical disorders, external impacts, edible foods, or nutritional influences. For this reason, it is of course more rational and scientific to think that the scratches are caused by sediments or nutrients ingested by whales. However, if we assumed there was a baleen found surrounding the teeth, the result would not have changed, because then the baleens would have protected the teeth and the wear on the teeth would not be that deep. As you can see, this claim is only a figment of the imagination. Even though they have no baleens, an extinct species of toothed whale is insistently being introduced as if it were a transitional form. There also has been no explanation by Darwinists regarding how hard teeth in the mouths of whales have turned into a great system of engineering which serves as a filter. These are morphological (formal) features necessary for the whales to feed using baleens. Finally, a special organ has been discovered that controls the movement of the jaw and throat pouches in baleen whales. This organ, located on the cheek, is responsible for giving a warning signal regarding the force applied to mouth area when the whale fills its mouth with water when it feeds. Because the whale, which can fill its mouth with about 5 tons of water at a time, has an enlarged abdominal cavity; the amount of water he holds in his mouth shouldn't be a dangerous amount that would damage the whale, break his jaw, tear his abdomen, or cause any kind of injury. This organ, discovery of which was announced in the Nature magazine in 2012, exists to actually protect the whale from these kinds of hazards. This organ, located in the middle of the lower jaw, at the rear where the bones diverges to right and left, "detects the dynamic rotation of the jaw when the mouth opens and closes". 2 In other words, without this sensory organ, the whale could never notice the force applied to its jaw by the amount of water swallowed, and it could face a dangerous situation when she fed. For this reason, it is imperative that whalebone whaled has this special sensory organ, along with baleens, so that they can feed using their baleens. As all these evidence show, these creatures have all the necessary anatomical properties to be able to feed using their baleens from the moment they first came into existence. In the event that any of the 5 basic features that we briefly mentioned here are missing, the baleens will not be suitable for use anyway. Therefore, it is immediately obvious why the claim that the teeth of the whales turn into baleens over time is ridiculous. According to Darwinists; the whales have allegedly evolved the teeth that they had previously possessed into baleens in order to supposedly feed more and grow more. This logic is already inconsistent with the evolutionists' own claims. If having baleens is supposedly more advantageous in terms of natural selection, no toothed whale should have remained today. It should also be remembered that there is no resemblance between the structural material of the baleens and that of the teeth. The raw material of baleens is keratin. The teeth are mainly made of phosphorus, sodium, calcium and other minerals; they mostly contain protein collagen. In other words, an imaginary scenario like teeth evolving into baleens is impossible to occur. Every living being is created in the most appropriate way for its environment. Because the baleen whales feed on krills, they are created with baleens, which can capture these small creatures like a net; while the toothed whales are equipped with sharp teeth with which they can easily catch and digest their prey. Throughout the history, baleen whales and toothed whales lived together; no species has evolved into another species. The whales, along with all living things, have never evolved over millions of years; each one of them has been created with the excellent features they currently have from the very first moment. When you look at the history of life, there is only one fact revealed by the science of paleontology: Life has not progressed from simple to complex as Darwinists have claimed. In every stage of history, life, from the first moment of creation, has been too perfect and complicated to be caused by blind coincidences. This fact shows us; that the living beings did not evolve, and the universe, galaxy, solar system, planets and everything that constitutes Earth is created in an instant by our Almighty Lord, who possesses supreme knowledge and power and is OMNIPOTENT, by His word "Be". All living things on earth are a manifestation of our Lord's OMNIPOTENCE. Pyenson, N. D. et al. 2012. Discovery of a sensory organ that coordinates lunge feeding in rorqual whales. Nature. 485 (7399): 498-501. An article published in Nature journal in June 8th, 2017 featured the human fossil remains recently discovered in Morocco, which are estimated to be 315,000 years old. Thus, the discovery has given rise to the discussion that the origin of Homo Sapience species might date back to 100,000 years earlier than thought before. BBC in particular, the local news outlets such as Sözcü newspaper, ODA TV, even Cyprus Post tried to present the claims in the article as supporting evidence for the evolutionary scenario. First of all it should be noted that the origin of mankind dating back way earlier than previously thought has nothing to do with evolution. New age determination methods were utilized in the study, which led to the discovery of the fossil remains belonging to members of human species dating back to 315,000 years before. Indeed, the oldest known fossils belonged to a human who said to live in East Africa 200,000 years ago. Once the recently acquired information is verified, it will push back mankind's origins by 100,000 years and replace East Africa with North Africa as the discovery location of the oldest known human remains. The data concerning the fossils drew different interpretations and BBC being in particular, many local and foreign news outlets put forth numerous arguments in order to save face for the evolution theory. Yet all the efforts are in vain. The discovery of human fossils dating way back and the fact that mankind preserved its physical qualities for a longer period than thought offers proof not to evolution but to creation. Well aware of this fact, Darwinists, as always, have kept fossils away from the public. No sooner had the fossils in question been featured in the article then the fact that these fossils were revealed to having been kept away from the public for 55 years. In 1960s, during an excavation in Jebel Irhoud region for extracting barite element, minors unearthed an almost complete human fossil. In 1967 and 1969, further excavations in the same region conducted by Jacques Tixier and Roger de Bayle des Hermens unearthed tools such as knives, arrowheads, ice scraping tools and drills. Along with these, the excavations also unearthed skulls as well as the fossils of jawbone, thigh bone and femur belonging to a child. However as, according to the Darwinists, such early human presence in history does not conform to the so-called evolutionary scenario, all the discovered bones and tools were presented to be 40,000 years old and claimed to belong to Neanderthals, an assertion that stands refuted today. The excavations carried out in the same region since 2004 were announced to have found 20 new human bone fossils, among which were skull, tooth and jawbone fossils that belong to three adults, a teenager and a child of about seven years. It was also announced that among the discoveries, there were numerous tools, deer bones carrying marks suggesting these people were engaged in butchery, and various burn marks indicating the existence of cooking and baking in that era. As we have just stated, falsely presenting the age determination of these fossils to be 40,000, evolutionists introduced these fossils as a species related to Neanderthals. However, new age determination studies conducted on the jawbones, which had been discovered in 1969 and claimed to be 40 years old, revealed the origin of these bones to be human and their age to be between 280,000 to 350,000 years. 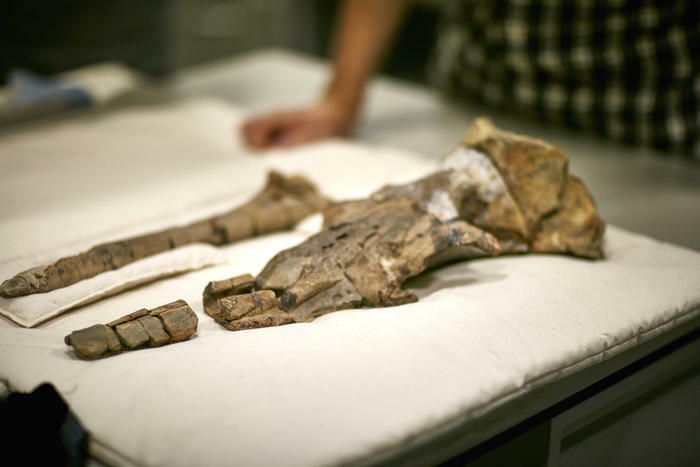 Prof. Hublin tried to gloss over the hoax through his following words; "The fossils looked far too "primitive" to be anything understandable, so people came up with some weird ideas." But this example is highly crucial in that it laid bare to what extent evolutionist can go to arbitrarily distort scientific evidence and how erroneous their claims can be. Chris Stinger, a paleoanthropologist at the British Museum of Natural History, also confessed to 'first seeing these fossils in 1970s and being baffled when he realized that they did not belong to Neanderthals.' To save face, Stinger claimed, "They seemed too young and primitive-looking to be human," yet this effort, too, is in vain. The fossils, which were discovered by Prof. Hublin in 2004 only to come to the fore after 13 years, put Darwinists in a great dilemma. Although many evolutionists who were troubled by the rebuttal of evolution scenario tried to deny these fossils and come up with new scenarios, all the obtained scientific data clearly shows that mankind did not evolve. The only finding that carries any evidential value for evolution is the revelation of "transitional forms". To date, all the layers of the stratum have been reached and more than 700 million fossils have been acquired. Yet all of these fossils belong to species that are intact and complete. A species discovered among the ancient layers emerged suddenly, remained unchanged throughout eons, and either has survived until today or perished to become extinct, but transitional forms have yet to be encountered among the myriad fossils. Had life forms evolved through gradual changes as evolutionists claim, there should have been countless transitional fossils lying within the earth's strata, and better yet, transitional forms should have been encountered even more frequently. The absence of transitional forms in the fossil record completely shatters the notion of evolution. The oldest human fossils dating back 350,000 years discovered in the excavation attest to not evolution but creation. Along with this, it is claimed that ‘the research proves the fang blennies surprisingly evolved their needles before their venom’ without ever mentioning the supposed evidence throughout the report. The fang blenny is a small-size species of fish having quite large teeth compared to its body. 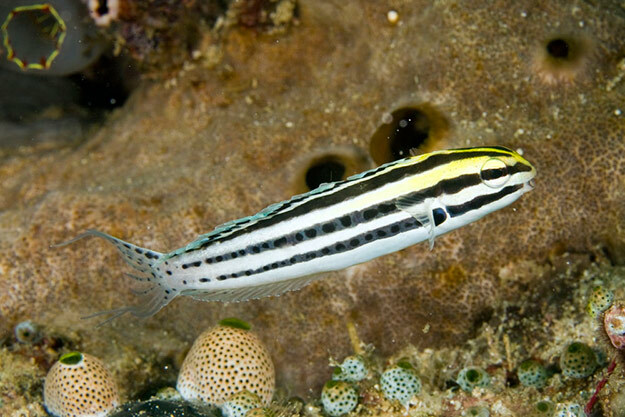 About 5 cm in length and living in the ocean, these fish may be considered to be vulnerable at any moment. Yet, our Lord, as a manifestation of His eternal mercy, created these tiny creatures along with a special defense system for protection. The name fang blenny is in fact derived from this defense system of the fish. How Do Fang Blennies Carry Out Self-Defense? When attacked, the fish uses the venom hidden inside its teeth to defend itself. This venom, functioning as a chemical defense weapon, pushes the attacker back and allows the fish to move away safely. First, it should be noted that the venom used by the fish is produced in consequence of chemical processes that are too complex to be explained by means of evolution and composed of three special components. How Does the Venom Work? When fish prey on the fang blenny, the predator would bite it before swallowing. This allows the fang blenny to inject its venom into the predator’s body. 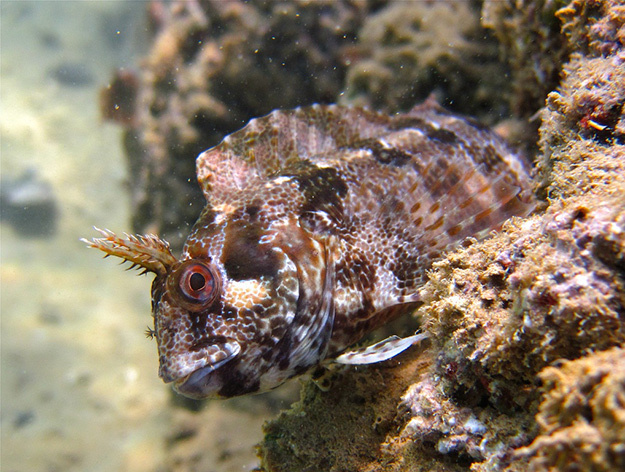 Once the venom is injected, the neuropeptide and opioid components may cause a sudden drop in blood pressure, leaving the blenny's attacker disorientated. The predator’s mouth opens, inadvertently allowing the fang blenny to escape safely. Besides, the predatory fish is not capable of chasing the fang blenny afterwards as the effect of the venom lasts for a while. There is a very important point here: It wouldn't be possible for the fang blenny to escape safely out of the mouth of the predator if it weren’t for the constituents of the venom that existed from the very first moment of its existence. Otherwise, it would be impossible for the fang blenny to move out of the predatory fish's mouth unharmed, making it fall to prey at the first instant. For that reason, these three chemical components of the venom should have existed since the very first moment of existence. This demonstrates that the complexity of the venom system of the fang belly undermines any claim of blind coincidence. Another supposition of the magazine is that the teeth of the fish formed first and allegedly attained venomous qualities through a process of evolution: This is illogical and irrational without a doubt. The idea of having fangs without venom to be injected into the predator’s body makes no sense. This claim clearly contradicts with the reasoning of the theory of evolution. Fang blennies are very small fish. About 4-5 cm in size and with two sharp teeth, this fish is not a deterrent for predators that prey on it. From the very first moment the teeth existed, unless being equipped with the venom to be secreted, they would disappear by turning into vestigial organs of no use in the so-called evolutionary process supposedly lasting for millions of years. This shows that there is an irreducibly complex relationship between the teeth and the venom of the fang blenny fish. It is impossible for one to be functional without the other. As can be seen, no matter how much millions of dollars or how much time are spent, regardless of all the effort put in to it, there is no evidence to prove evolution. Evolution has not been experienced at any stage of history. This is the reason why no one has yet found an evidence for evolutionary claims so far. Every discovery made to date has proved that living things are created by God; and proofs will continue to show this fact beyond doubt. ]]>http://sheikhnazimalhaqqani.com/en/Darwinism-Watch/247468/response-to-current-biology-magazinehttp://sheikhnazimalhaqqani.com/en/Darwinism-Watch/247468/response-to-current-biology-magazineSun, 14 May 2017 18:29:47 +0300Zebrafish Can Regenerate Their Spinal Cords, What about People? Nerves surround every part of our body like a web and enable us to obtain and interpret information about the world around us. They can be considered as the highways carrying information throughout the body. The most important organs of this system are the brain and spinal cord and the electric impulses regarding every emotion, thought and knowledge in our brain reaches our organs via the spinal cord. The spinal cord is also the center of the reflexes, which are vital for our survival. Reflexes triggered in the event of a danger effectively protect us from threats. With these features, the spinal cord can be compared to a very large data control center that is protected by high security systems. Disk-shaped vertebrae surround the spinal cord and when the cord is bent, these bones protect it from impacts and move without harming the spinal cord. Furthermore, the spinal cord is encased by three layers of membrane as in the brain, between which is cerebrospinal fluid that protects spinal cord from shock and pressure change. Despite these intricate protection systems in place to guard the spine, a faulty move or an accident may still cause damage to the spinal cord. Despite the advanced technology of the 21st Century, such injuries cannot be adequately treated. The spinal cord is one of the organs that is almost impossible to cure after an injury. As a result, the part of the body controlled by the nerves in the injured part of the spinal cord will no longer function properly. In severe injuries, fully paralysis might occur. Scientists have been working for years to develop a method that can treat spinal cord injuries. And they found the answer to the question not in medical literature, but in a tiny creature known as the zebrafish. This small fish, about four or five centimeters long, offers an astonishing miracle of creation. When the spinal cord of the zebrafish is struck, glial cells build a bridge across the severed tissues of the spinal cord. 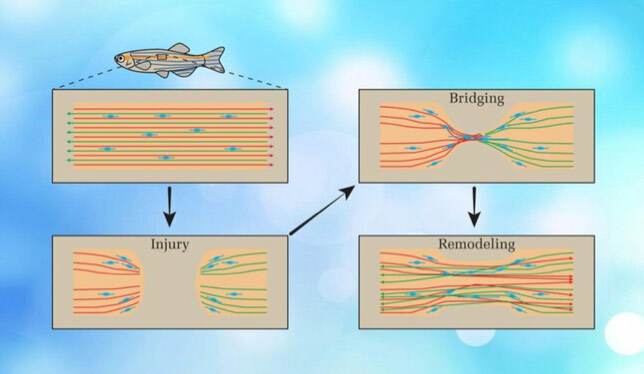 These cells form extensions ten times longer than themselves and build connection roads to bridge the gaps caused by the injury. It will take eight weeks to fill the gap with new nerve tissues. Interestingly, even though the human body also has glial cells, such a repair process does not occur in the human body. The scientists who examined this miraculous process of regeneration in the zebrafish found that the answer was hidden in a protein called CTGF or "connective tissue growth factor". Researchers observed that during the regeneration process, twelve genes, seven of which were protein-producing, were strongly activated. They also observed a rapid increase in CTGF protein in glial cells within two weeks after injury. 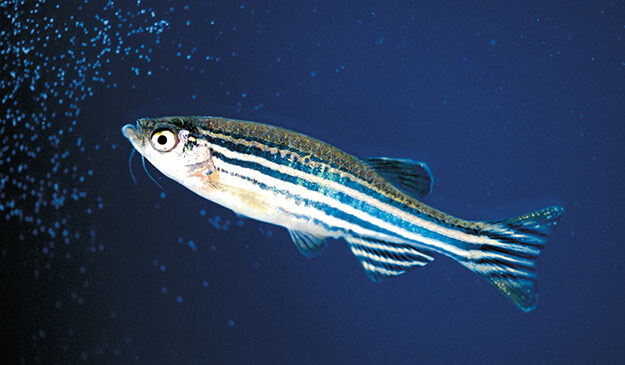 The human CTGF protein is nearly 90% similar to that of the zebrafish. Even more interestingly, when scientists injected human CTGF in to a zebrafish, they observed that the spinal cord could still be regenerated. However, when the spinal cord of a human is injured, it is impossible to repair the spinal cord despite the presence of this protein. Scientists are determined to further study this small creature to understand how to treat spinal cord injuries in humans. God could have created this amazing repair system in humans if He had wished so. However, despite all of our technological advancement, no such treatment is yet available for humans. At the moment, let alone treating such injuries, it is not even fully clear how the zebrafish is able to perform this repair. All the studies done so far reveal the superiority and finesse in God's art of creation and it is our responsibility to reflect on this wonderful features that God created in this small animal and appreciate Almighty God’s greatness. Many people know that when cells become unnecessary, old or defective they kill themselves. But how does the process take place? 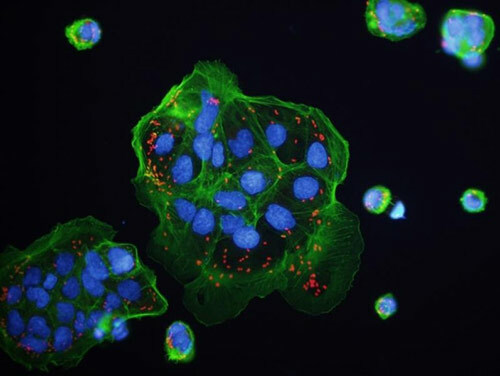 Many cells produce a number of proteins to use for self-destruction when the need arises. As soon as the cells become sick, malignant or start to threaten the health of the organism in a way, they activate their killer proteins and destroy themselves. However, it is crucial that the protein is activated at the right time. The system should not be used when there is no problem in the cell and the cell is still useful for the body. As a matter of fact, if the death proteins start to act when the cell is healthy, the healthy cells in the body will die, which will harm the body and may even cause death. Similarly, any delay and/or postponement in the activation of the death program may again result in the death of the organism. The cell, in an astonishing display of punctuality and determination, activates the aforementioned destruction program at the precise moment and with spectacular intelligence and sacrifice, thereby acting as a means for the survival of the organism. Another incredible point is the stages that follow once the program is activated. When the cell decides that it should die for the sake of the body, it immediately activates the death proteins, and begins to shrink away from its surroundings. Following this, bubbles begin to form on its surface and the nucleus and then the rest of the cell break down. In the meantime, healthy cells step in to destroy the remains of the harmful cells that are beginning to die and completely cleanse the body of the dead cell. However, they deliberately refrain from destroying certain dead cells, of which functions in the body have not been completed yet. For example, tissues like skin, nails and the lens in the eye are made up of dead cells, but they are still necessary for the body. For this reason, healthy cells do not destroy such cells that are still useful for the body even though they are dead. Programmed cell death is also very important for the development of the human body. For example, as a baby grows up in the mother's womb, hands are first paddle-like structures. However, when the cells in the region receive the instructions to form the fingers, the cells in the relevant places start to commit suicide in a very precise manner, as if they are sculptors shaping the hands. Not having the ability of seeing themselves from outside and unaware of concepts like symmetry, cells miraculously sacrifice themselves exactly in required amount and in the required places. As a result, the gaps between the fingers, the lengths and the shapes of the fingers appear perfectly. This suicide software in the cell also plays an important role in protecting the body against cancer. Cancer occurs when a cell does not die when it is supposed to and cancerous cells begin to damage the body by reproducing. The methods used in cancer treatment have been developed to eliminate these cancerous cells that do not die at the right time. This wonderful system, active 24/7 for the lifetime of the organism to maintain its health, works without making any mistakes and without the slightest disorder in the chain of command. Each cell stands by to perform this sacrifice when the time comes. They constantly take and carry out orders for the healthy growth and functioning of the body. Existence of such a well-ordered, organized and planned system in a cell without a brain or the ability to think is surely astounding. Why do the cells, allegedly selfish according to the evolutionists who describe life as a struggle, possess such a system? How do cells know how to perform all these actions? How did they learn to make these decisions, which are crucial for the survival of the body? And how can the trillions of cells in the body all be acting together in an incredibly harmonious manner to implement these orders? Needless to say, the intelligence clearly visible in the cell did not come into being by itself. Like all other creation, cells carry out what is commanded to them by God. The intelligence displayed as they carry out their orders is only the manifestation of the infinite wisdom of God. 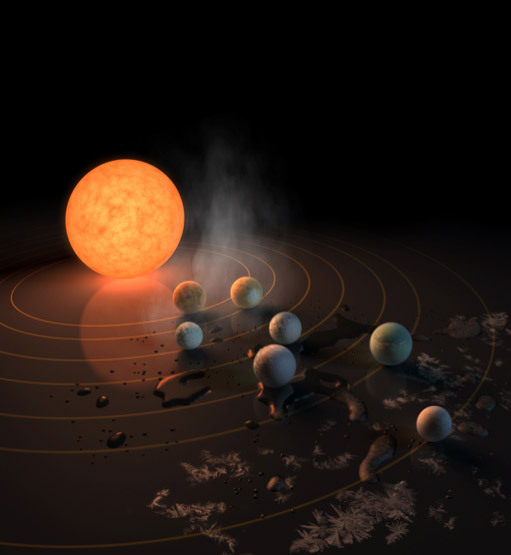 On February 22, 2017, NASA announced that the Spitzer Space Telescope discovered 7 planets around a star 39 light-years away named TRAPPIST-1. It was claimed that three of these planets in particular have the so-called necessary conditions for life, and that these planets might have been host to the evolutionary process. Based on this claim, many media outlets, especially the The Telegraph, of England, reported on the discovery. But these were sensational headlines that are completely devoid of scientific evidence, and specifically published to attract readers' attention. When we look at a few paragraphs below the headline, it becomes clear that there is no evidence supporting the so-called evolution of life on the newly discovered planets. Let's examine the reasons why there can't be life on these planets one by one. Three of the newly discovered planets have been described as being on the "Habitable Zone" in NASA's statement. What should then be the conditions of this "Habitable Zone", which is also called as the window of life? In order to understand this, it is enough to examine our world, which is created with ideal standards. For example, in order to have "carbon-based" life on Earth, it is necessary for the temperature to remain between very sensitive values. The proteins of humans and many other living beings become denatured and lose their vital properties after 430C. Even though some microorganisms can withstand temperatures of 120-1300C for a while, they can't sustain this for a long time. Again, while many living beings lose their vital properties due to freezing temperatures below 00C, only a few can persist in these temperatures by slowing down their vital activities. In order for their vital activities to return to normal, it is necessary for temperature to be above 00C. In short, in a universe where we encounter varying temperature values ​​between minus 2730 C and millions of degrees, the preservation of very small temperature values ​​of a few tens of degrees without major changes is imperative for the existence and continuation of carbon based life. It is also important that these values ​​correspond to the value at which water remains as liquid. A zone in which these values, which can be characterized as window of life, can be achieved is called the "Habitable Zone". The habitable zone is absolutely necessary for the existence of life; but that alone cannot be enough in any case. When we consider the conditions on Earth, there are scores of scientifically proven, maybe even hundreds more “absolute must” features that we haven't yet noticed beyond the temperature balance. The absence or disappearance of any one of the many features such as the presence of the atmosphere, its thickness, its gas composition, the speed of the Earth's rotation, the water balance, the magnetic shield, the Moon's presence, and many more, means that life can never exist on Earth or can disappear suddenly. The supposition that "planets in which life can exist are discovered" is a populist approach to divert people's attention away from scientific facts. NASA's discovery is simply the discovery of some planets with habitable zone temperature values. However, as briefly mentioned above, the presence and continuation of life require the presence of very sensitive values. These planets that are reported with presumptuous remarks like "new Earths are found in space", in fact have no common features with the Earth except their temperature values ​​and dimensions. TRAPPIST-1, for example, is a very small and dim star compared to our Sun. Compared to the Sun, it gives 200 times less heat and light. The surface temperature of the Sun is 5778 K, while TRAPPIST-1 has a temperature of 2550 K. So it only provides a twilight-like brightness. The reason why these planets have similar temperature values to Earth despite this low energy emission is that these planets have closer orbits around their star. These newly discovered planets are even closer to TRAPPIST-1 than Mercury, the closest planet to the Sun. As a result, the time it takes for them to rotate around their star is also very short. The time it takes for the planet closest to the star to rotate around TRAPPIST-1 is only 1.5 days, and it takes 18.8 days for the farthest sixth planet to fully rotate around TRAPPIST-1. The distances between these seven planets are also very short; some of them are even closer to each other than Earth's distance from the Moon. As it turns out, in fact, these planets have nothing in common with Earth's conditions. The fact that they have very fast orbits and are very close to each other are features that will make the surface conditions of the planets quite different. Under these circumstances, no feature that can enable the existence of life shows any similarity to Earth other than the fact that the water that may exist on the planets can remain in liquid state. No findings have been discovered about the existence of conditions suitable for life other than the temperature, on the newly discovered planets. Also, there is thus far no data suggesting the existence of water on the planets, which is the most basic characteristic required by the habitable zone. Do the planets have atmospheres? If they have, do they contain oxygen? Does the surface of the planets have a solid crust suitable for life? While there is no information yet on any of these topics, claiming that these planets can be suitable for life based solely on similar temperature values is far from a scientific approach. In fact, there is no need to travel quite so far. Similar to the discovered planets that are claimed to be habitable, there are two more planets even more similar to Earth and close enough to us to be considered as our neighbors: Venus and Mars. But as we all know, there is no life on these planets. It is believed that there was water on Venus in the past. However, because the planet does not have an Earth-like magnetosphere protection, it is heavily exposed to solar winds. For this reason, it is thought that hydrogen and oxygen atoms were scattered into space over time. Right now, there is only a small amount of water vapor in its atmosphere. Liquid water does not exist on the surface of Venus because its atmosphere, which consists of dense carbon dioxide, has raised the temperature above 4000C. As you can see, even the absence of the magnetic shield means that conditions that are necessary for life is not possible. If we look at Mars on the other hand; its atmosphere is 100 times thinner than the Earth's atmosphere and 95% of its atmosphere consists of carbon dioxide. This causes the temperature to be unsustainable for life and day-night temperature differences to vary from 200C to minus 700C. The absence of oxygen and water are already known facts. On both planets, many constituent factors such as the temperature level and the fact that it must be kept stable, must be precise. However, there is no data on these constituent factors obtained from the discovered planets. Moreover, It is also clear that even if all this data was known and fully viable for life, it is impossible for life to emerge through an evolutionary process based on coincidence. The darkest point of the theory of evolution is the origin of life. No scientific evidence has been found as yet about how the first cell came into being. Evolutionist scientists can't even hypothesize about how the first cell came into being, let alone finding concrete evidence. Thus, an idea was asserted as the ultimate hope to keep the theory of evolution alive: "Life has come from space." Based on such suppositions, it would be easier for the evolutionists to camouflage their non-scientific explanations once they would search for the origin of life in space where it is difficult to collect evidence. Evolutionists can't even explain how life emerged on Earth where conditions are convenient and every place is bursting with life. Nevertheless, the fact that evolutionists claim "there may be life on newly discovered planets" based solely on the fact that the planets are in a zone with appropriate temperature levels, shows how non-scientific their approach is. With this supposition, evolutionists try to consolidate the nonsense that life came from space. However, they know very well that any carbon-based life similar to one on Earth cannot form on those planets. But, because accepting this means the refutation of both themselves and their ideology, they would never admit it. Downplaying the origin of life, meaning the existence of life as if it is an easy process to occur is an evolutionist perception operation carried out on public opinion. By giving the impression that life can occur even under very simple conditions to people who do not have enough knowledge on the subject, evolutionists try to keep the miraculous aspect of life hidden. However, the existence of life and its continuation necessitates the many of the above-mentioned absolute must conditions to be present at the same time. All this delicate order and perfection can never be explained by coincidence. God may bring about life in every environment by creating the appropriate conditions. The thing we criticize and explain the impossibility of here is the non-scientific and biased approach of evolutionists. While in the light of scientific data it is clear that carbon-based life similar to one on Earth is impossible to exist in the TRAPPIST-1 system, it is a great blunder to try confusing the minds of the public with evolutionist fallacies. If God wills it, life can be created in every circumstance. An article was published in the Cell magazine by Jun Wu on January 26, 2017. Based on the claims in the article several media outlets, such as National Geographic and Fox News, reported the news that a "Human-pig hybrid is created in a lab." At first, some people who do not examine the details of such news may wrongfully think that "a new species was produced in a lab". For this reason, we have prepared this article to reveal the details of the aforementioned study and the misleading points in the mentioned news. As a result of the research, it was reported that the embryo studied included one human stem cell for every 100 thousand-pig stem cells. But what was more, "the human cells didn't remain in bulk to form an organ, on the contrary, they were scattered in all tissues". When the article is examined in detail, it will become obvious that the only point in this study that can be called an "innovation" is that the pig embryo remained alive until the 4th gestational week while containing human stem cells. At the 4th week of pregnancy, the embryo is a piece of tissue only a few millimeters in size and the organs can't even be perceived under a microscope. In other words, it's in an early stage of development, and there is no hybrid creature to speak of as the press led people to believe. The basic claim of evolutionists is that living beings have evolved over time via coincidental mutations and acquired new properties. And so they allege that the different species on earth have emerged through this process. Since Darwinists do not have the fossil or molecular evidence to support this claim, they try to arbitrarily interpret genetic and cellular research to constitute so-called evidence for evolution. Indeed, the same attempt can be seen in this study, too. Because no new genetic information is introduced, this hybrid study can't constitute evidence for evolution. The bodies of multicellular organisms require more organization than simply assembled cell populations. As it is known, there are very important structures that allow the coexistence of multi-celled organisms and the organs to remain as a whole. 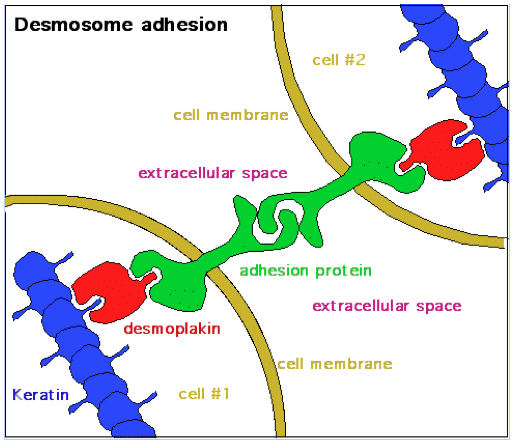 Some of these are "desmosome, tight junction and gap junction" protein complexes. Two adjacent cells are interconnected by at least one of these structures. As seen below, when the proteins of these two cells do not completely match each other, cells will not be able to connect and thus, will not be able to create the tissues essential for organs. The human cells in the pig’s embryo will behave exactly like this, and will not be able to fully partake in the forming of the tissues. So, they will remain as foreign bodies trapped between the tissues of the pig, and even disrupt the structure of the organ where they belong. In the intercellular organization, remote communication is as important as close communication for the persistence of living being. As in this study, it is not possible for cells of different species to behave in harmony. For example, the only way a hormone signal secreted from the brain can affect the target organism is that the sensor proteins in that organ's cells have key-lock compatibility with the hormone. The information of these proteins is encoded on the DNA for every living being, and is passed down from generation to generation. If the cells belong to different species, this vital harmony will cease, too. The hormone signal secreted by the pig cell will only affect the pig cells in the targeted organ, but this signal will not mean anything for the human cells. Therefore, the human cell inside a pig's organ will not benefit the function of that organ, but contrarily, degenerate it. The main objective of the human-pig hybrid study was described as "producing replacement organs for patients who require organ transplants". However, this is not a very realistic approach. Redeveloping an organ for the replacement of a diseased or missing one will, of course, be the ideal treatment; but such a method has not yet been achieved. If the stem cells may be controlled and transformed into an organ, the optimal environment for this will be the individual's own body. This way, the organ will develop without any tissue compatibility problems. If the purpose in such a study is to develop tissues, and once stem cells may be controlled one day, then implementing this process in one's own body is a much more feasible method than studies with pig embryos. Therefore, injecting human cells into pigs to obtain organs is not a very convincing and realistic study. The claim that "a hybrid organism has been developed for organ transplant" which some headlines showed, is another faulty statement. Because the human cells in the obtained embryos were scattered among the tissues of the pig, a separate organ that only contains human cells did not form. Therefore, no organ that could be used for transplant is existent. As known, a person can only have organ transplantation from another human being or cadaver with the best tissue compatibility. However, even with minor differences, tissue rejection occurs occasionally after organ transplants. In order to avoid rejection, immunosuppresive chemotherapy drugs have to be administered to the patient. The only way to completely prevent tissue rejection is to make a 100% compatible organ transplant. This is only possible with the transplant of an organ consisting one's own DNA. Despite the efforts, there is not yet any achievement on this matter. As it is clear from the above-mentioned study, every living being is manifested in the most beautiful form with God's art of Creation. An alteration artificially made on a living being will disturb the delicate balance in His Creation. While humans and pigs continue their lives with their flawless qualities, intervening in the balance of cells ruins this magnificent system. All these details are an explicit demonstration of God’s perfect Creation in living things. God is our All-Powerful, Almighty Creator. ]]>http://sheikhnazimalhaqqani.com/en/Darwinism-Watch/244881/facts-about-the-claims-ofhttp://sheikhnazimalhaqqani.com/en/Darwinism-Watch/244881/facts-about-the-claims-ofTue, 21 Mar 2017 20:59:38 +0200Can Spider Silk Be Finally Produced Artificially? 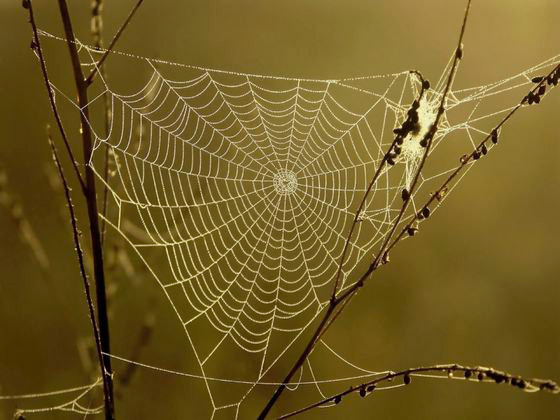 Spider silk is five times stronger than steel of the same diameter. It can stretch four times its initial length. Artificial tendons or ligaments, support for weak blood vessels. 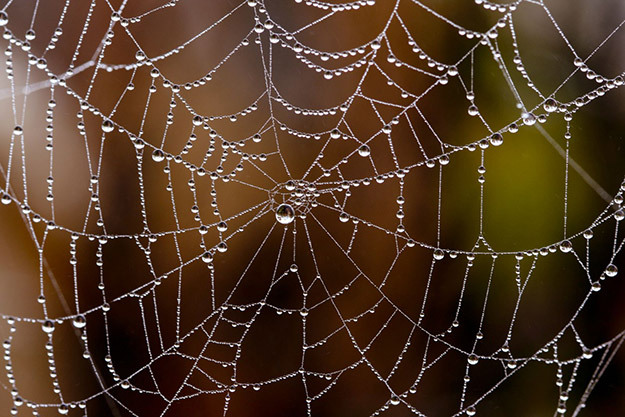 Why Spider Silk Cannot Be Produced Through Natural Means? There are inherent problems that come with the incredibly difficult process of natural spider silk production. It is nearly impossible to breed spiders and farm them for their silk like silkworms; it would be far too arduous a procedure. Moreover, since the silk obtained from spiders is very limited, it does not meet the amount required for mass production. So, all these challenges led scientists to carry out research on the possibility of artificial production of spider silk. A major step has been taken on the issue of spider silk with research recently conducted by the scientists of Swedish University of Agricultural Sciences and the Karolinska Institute. Led by Anna Rising, the research team announced they had developed a new method, which allows them to produce a kilometer-long material that has the same properties with spider silk. Before being spun into a fiber, spider silk, which is made of proteins, is stored as an aqueous solution in the silk glands. The research showed that there is an impressive pH gradient in the spider silk gland, and that this well-regulated pH gradient affects specific parts of the spider silk proteins. It was seen that this ensures the rapid formation of fiber in a defined place of the silk production apparatus. In this manner, its production has become suitable for industrial use. "To our surprise, this artificial protein is as water soluble as the natural spider silk proteins, which means that it is possible to keep the proteins soluble at extreme concentrations. This is the first successful example of biomimetic spider silk spinning," says the team leader, Anna Rising. What truly excites scientists, especially Anna Rising, is that now the industrial production of spider silk will be possible. With its production, this fruitful silk will begin to be used in many of the fields we have listed above. State-of-the-art technology, hundreds of scientists, hundreds of thousands of dollars spent: What is to be achieved through all these means at hand is the silk flawlessly produced by the tiny body of a spider for millions of years. And the silk that was produced in the laboratory environment could only be obtained after countless hours scientists had spent devising a strategy and making a myriad number of highly complex calculations. Just as we cannot explain the formation stages of this silk with coincidences, so too can we not explain the silk produced by a spider in the same way. Imagine that you set out on a journey through our Solar System. During this journey, you will come across planets with freezing cold or scorching hot temperatures, with atmospheres comprising of toxic gases, with severe storms raging on their surfaces, or without any water at all. Only the 'blue planet' Earth that we live on was created in a way that is fully hospitable for life with all sorts of ideal balances it maintains, from its atmosphere to its landforms, from its temperature to its magnetic field, from the elements it contains to its distance from the Sun. One of the primary reasons why the Earth is suitable for life is the amount of water it has. The majority of the earth, about 70%, is covered with water. These waters are home to millions of life forms with distinct colors, biological systems, and fascinating hunting and defense tactics. In fact, if we are to give a percentage, 90% of all living species on Earth live in these waters. The discoveries of new species in life forms increase with each passing day through the researches made possible due to the developing technology. 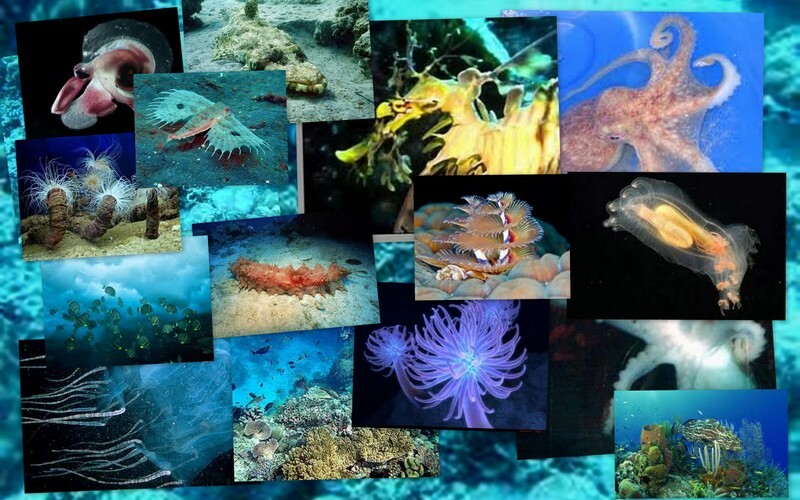 According to the latest research featured by the December 2016 issue of Scientific Reports journal, six new living species have been discovered in the Indian Ocean near the hydrothermal vents three kilometers below the ocean surface. Researches announced that the newly found species were discovered as a result of a survey carried out via remotely controlled underwater robots that could reach the ocean floor. And the newly discovered marine life forms were stated to be the members of the gastropod snail, a deep-sea worm, limpet, Hoff crab and scale worm species. Leading researches in Southampton University, Britain, Dr. Jon Copley and his team explored an area roughly the size of a football stadium on the ocean floor that contains more than a dozen mineral spires. An examination of these spires, also known as hydrothermal vent chimneys, revealed that they are quite rich in copper and gold, and that they can be utilized for undersea mining in the future. It was also stated that these spires are home to many marine species, and that these species are nourished by hot fluids gushing out of the vent chimneys. ]]>http://sheikhnazimalhaqqani.com/en/Darwinism-Watch/244257/newly-discovered-species-are-thehttp://sheikhnazimalhaqqani.com/en/Darwinism-Watch/244257/newly-discovered-species-are-theSun, 12 Mar 2017 22:51:18 +0200Plos One Journal Finally Admitted: "Lucy Is Not An Ancestor Of Man, She Is An Ape"
The 3.2 million-year-old fossil discovered in Africa in 1974, popularly known as "Lucy", has been periodically brought up for propaganda purposes. However, with the ever-growing means of science and technology, it has become evident that this fossil, which had been long alleged to be "evidence" for the theory of evolution, has actually dealt a devastating blow to the theory. 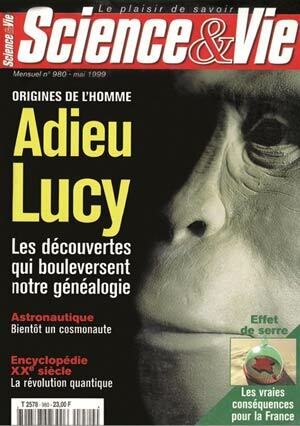 Evolutionists' Confession in 1999: "ADIEU LUCY"
However, this farewell was not limited to Science et Vie journal. After that, confessions on the fossil known as "Lucy" kept coming with each passing day. Evolutionists' Confession in 2000: "We Should Stop Bringing Lucy Up"
Evolutionists' Confession in 2016: "Lucy is a Chimpanzee"
However, these facts revealed by modern technology were already known at the time of the fossil’s discovery. In a speech at the University of Missouri, Kansas City on November 20, 19865, Dr. Johanson claimed they had found a knee bone and asserted their allegations that Lucy is the ancestor of man based on this bone. In response to this claim, one of the participants (Roy Holt) asked Johanson, "How far away from Lucy did you find the knee?" Dr. Johanson answered, "About 200 feet lower and two to three kilometers away." Continuing, when he was asked, "Then why are you sure it belonged to Lucy?" he answered, "Anatomical similarity". But this answer was met with cynicism because of the scientific inconsistency it posed. The scientific world was already aware of the fact that even completely different species such as dogs and bears could bear anatomical similarities. As is seen, Lucy has been promoted as ‘man's so-called ancestor’ for 43 years through a specially devised, biased propaganda, even though it was widely known that the fossilized skull belonged to an ape since the moment of its discovery. The entire world was indoctrinated as if it was the ‘so-called 'missing link’ between man and ape. However, this unscientific and non-factual supposition has been repeatedly disproved in every means of studying it under the light of advanced science and technology. To date, circles that advocate evolutionary theory for ideological reasons have made a number of fossil forgeries and fictitious claims. However, not even a single one of these allegations have been proven scientifically, while on the other hand, their fallacy has been consistently demonstrated. There is only one fact that 21st Century science shows us: Living beings have neither gone through evolution nor gradually transformed from one species to another as a result of blind chance. Mark Collard and Leslie C. Aiello, "From forelimbs to two legs," Nature (March 23, 2000), 404:339–340. The "ginkgo biloba" tree is a living fossil that has remained from the Permian period (270 million years ago) to the present day. In fact, ginkgos were in existence during the eras when dinosaurs still roamed the earth. In November 2016, a scientific article in the "Giga Science" magazine published the gene sequence of ginkgo biloba trees. Scientists from the Beijing Genomics Institute, Zheijiang University and the Chinese Academy of Sciences conducting the research tackled and analyzed an exceptionally large genome (the total of the genetic codes found in the chromosomes of an organism), which consist of a total of 10 billion DNA letters. Despite these challenges, scientists continued to work on this plant, as it is one of the living fossil specimens like the nautilus and the horseshoe crab. Wenbin Chen of the Beijing Genomics Institute expressed that a huge amount of raw data was generated, as large as 2 TB (1 terabyte: 1 trillion bytes) in the study for the huge amount of data and the computing capability for assembling genomes. An initial analysis of the tree's more than 40,000 predicted genes showed extensive expansion of gene families that provide for a variety of defensive mechanisms. Genes that enable resistance against pathogens (all kinds of organisms and substances that cause disease) are often duplicated in the genome of the tree. Professor Yunpeng Zhao from Zheijiang University emphasized that the ginkgo represents one of the five living groups of seed plants. Ginkgo is a completely unique tree that has no relatives. Botanists place Ginkgo in a separate category (Ginkgophyta) in the plant kingdom (Plantea). It is a unique plant with its fan-shaped leaves that is unparalleled among other tree species. The fact that they are generally extremely resilient to plant diseases, their consummate self-defense against plant pests, and their capability of forming additional roots and buds on the surface allow the ginkgos to be very long-lived. Ginkgos have dual defense systems that allow them to synthesize chemicals that keep insects, bacteria, and fungi away on one hand, while releasing volatile organic chemicals that specifically attract the enemies of plant-eating insects on the other. Some ginkgo trees can live up to 2,500 years. An interesting feature of the ginkgo is its being one of the most durable trees in urban environments (in other words it is resistant to air pollution), thriving even in conditions where other trees cannot persist. Ginkgos can grow in all kinds of damp, and even sandy, soil. On the shore, it can also tolerate sea salt. Extreme examples of the tenacity of ginkgos were seen in Hiroshima. Four ginkgo trees growing only one or two kilometers distance from the site of atomic bomb’s hypocenter are the only living specimens in the area that survived the blast, albeit partially charred, and have managed to continue their existence to date. 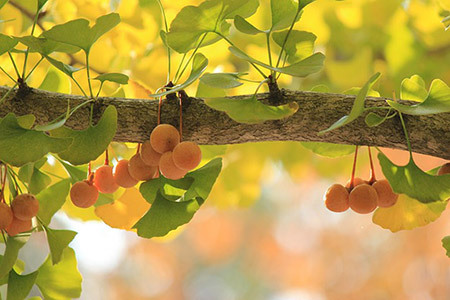 This tenacity has also helped ginkgos endure even during glacial periods in China, which killed most species. The experiments in a recent study have revealed that ginkgo biloba extracts is helpful against the harms of electromagnetic waves emitted by cell phones to the brain. 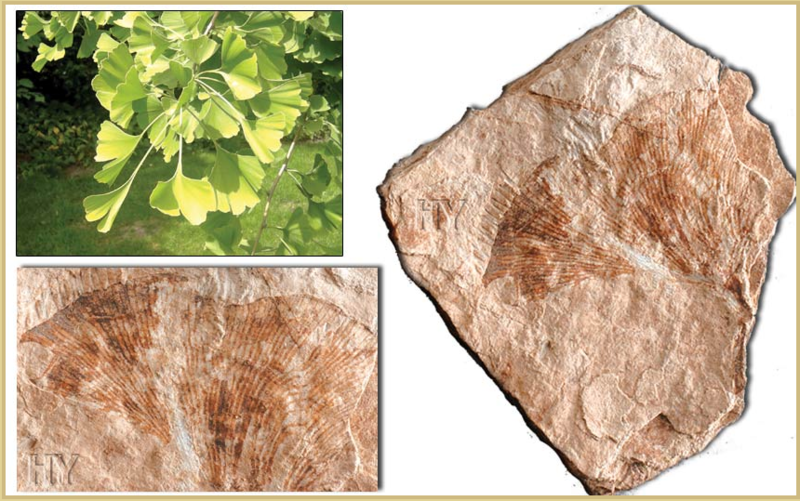 During his research, Darwin was astounded when he discovered a fossilized version of the leaf of a ginkgo tree. The same as a living thing that is in existence today was present in millions-year-old layers in the same shape as it is today. This fossil, which is sufficient to bring Darwin's theory to a deadlock and really had him worried, would be dubbed a ‘living fossil’ by Darwin himself. If Darwin had been living in the present, his concern in this regard would surely have been much greater because ginkgo, as we have already mentioned, is not the only living fossil that has survived until today. A part of more than 700 million fossils extracted from the earth's strata comprise of complete and perfect extinct species while its great majority are living fossils. 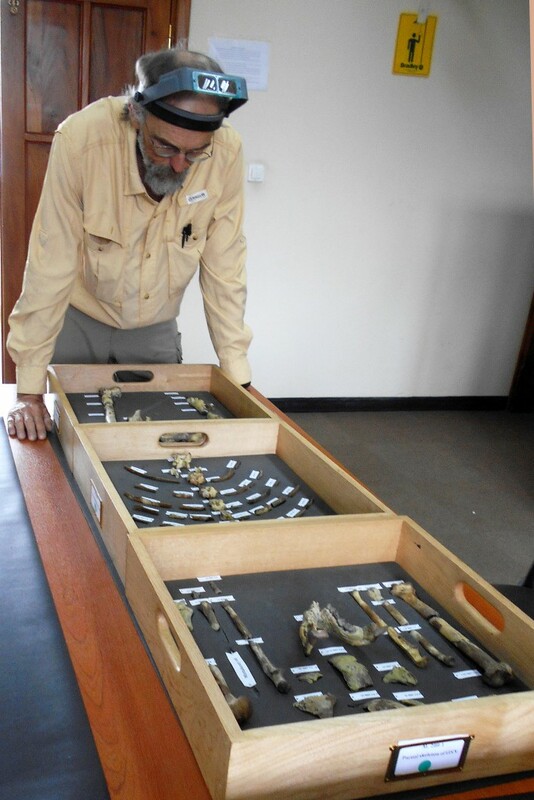 Millions of years old fossil samples belonging to most of the currently existing species have been found and put on display. If evolution had occurred as Darwinists claim, there would have been millions of transitional fossil examples on earth, not millions of living fossils that remained unchanged. Evolutionists must have constantly found in the fossil records transitional life forms that have allegedly changed from one living thing to another, and discovered trillions of so-called ‘evolving ones’. Evolutionists, however, have yet to find even a single transitional fossil; they have failed to even present a single organ sample that is undergoing change in a single life form. As seen in the ginkgo leaf below from the Eocene epoch (54-37 million years ago), life forms have not undergone any change despite the millions of years of time difference between them; they were created by God, our Creator in exactly the same form that we see in modern living specimens. The 50 million-year-old ginkgo leaf seen in the image above is one example of the evidence that renders Darwinists scenario of plant evolution invalid. Just like all other fossil samples, this fossil poses a great dilemma for all evolutionists, making it evident that ginkgos have always existed as ginkgos, and they were neither derived from nor evolved into any other plant species. ]]>http://sheikhnazimalhaqqani.com/en/Darwinism-Watch/244240/living-fossil-the-ginkgo-bilobahttp://sheikhnazimalhaqqani.com/en/Darwinism-Watch/244240/living-fossil-the-ginkgo-bilobaSun, 12 Mar 2017 21:37:52 +0200From Which Creatures Do Drones Draw Inspiration? The maneuverability of the dragonfly, the firefly's ability to generate light at one hundred percent efficiency, the owl having the most silent flight among all the bird species: The characteristics many creatures have that are similar to these have long fascinated people for centuries. So much so that these characteristics have been an inspiration to particularly scientists, leading to the emergence of a new scientific field. During migration, some bird species can fly for days, or even months, without taking a break or nap. Scientists have been researching for years how birds manage to do so. It was previously thought that birds were relying on a method called "one hemisphere sleep". It was believed that employing this method birds would keep one eye open, thus using only one cerebral hemisphere at a time while resting the other. However recent studies showed that frigate birds (Fregata minor) can both maintain flight and rest their brains taking a "micro-nap" at the same time (during soaring or gliding). Thus, scientists continue working on drones that can remain in the air for days, or even months without having to land just like this bird species. Most of us know that owls are expert nocturnal predators. The primary reason why they are such great hunters is that they are capable of flying without making any sound. Biologists, mathematicians and engineers investigated this amazing aerodynamic performance of owls and discovered that owls incorporate many features required to produce such a silent flight. For example, the features of owls, such as their large wing size, velvety surface texture, and interlocked ragged feather structure allow them to fly silently. The work on applying this silent flight technology to drones continues. They found that fruit flies could manage to maintain flight by modifying their wing beats midair and rolling their bodies toward the damaged wing. One of the major problems both flying animals and flying robots face is unpredictable wind gusts. However, scientists have discovered that bees can even travel in extremely windy conditions to reach their intended pollen sources. To understand how they manage to do so, scientists placed bees in observable wind tunnels and recorded them during flight. The result of the research was full of calculations that could be considered marvels of engineering. By changing the amplitude, frequency, and even the symmetry of their wing beats, the bees would gain resilience while flying against wind gusts they would suddenly encounter. If scientists can apply these techniques employed by bees to drones, it will allow drones to maintain flight through turbulences. A hardy journey awaits a bird that flies close to the ground. It needs to swiftly process the visual input from its surroundings and make rapid flight adjustments to dodge any obstacle that might stand in its way. Seeking to investigate this success of birds that maintain forward momentum while maneuvering through gaps between objects, scientists recorded pigeons' movements in three dimensions. As a result of the research, they discovered that the pigeons adjusted their routes by selecting gaps that closely aligned with the direction they were flying. And a few small adjustments pigeons would make in their wing beats were enough to do so. 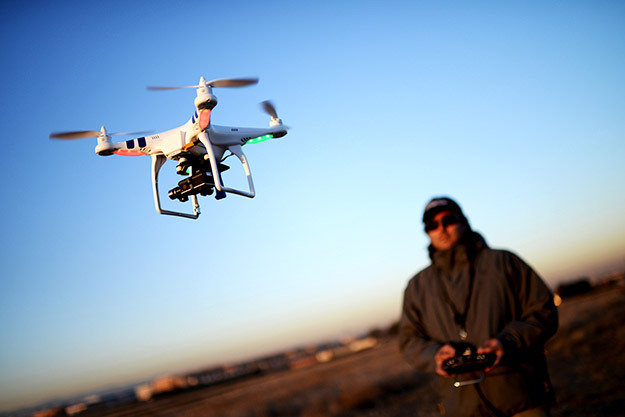 Scientists currently aim at applying this skillful orientation and maneuver capabilities of the birds to unmanned aerial vehicles. Thus, drones will be able to avoid any obstacle they might encounter without any damage, as well as swiftly choose the safest route. Interestingly, to gather information on flight, researchers sometimes benefit from insects that do not fly at all. To this respect, scientists have studied many insect species and in their studies they observed that some insects were capable of quickly rotating in midair while falling. For example, tiny stick insect nymphs are wingless, but this insect species can right itself in midair while falling from any height, thereby achieving a safe and proper landing. It was discovered that the insects in question rapidly rotated to turn right side up by coordinating leg movements with airflow, and turning completely around within 0.3 seconds. Researchers think that if the said technique employed by the insects is applied to drones, it will further improve their midair agility. How Birds Can Maintain Flight When Molting? Imagine you are flying in an airplane and in mid-flight, the bits and pieces of its wings start to break off. Such a catastrophic situation might sound unthinkable, but this is exactly what birds experience during their molting season. During seasonal molting, birds replace their worn out feathers while still having to continue flying, regardless of how dangerous it is. Seeking to find out how birds manage to do so, researchers examined a jackdaw, a bird in the crow family. They investigated the flight aerodynamics of birds during different molt stages. At the end of their research, they found that the birds' flight efficiency was indeed reduced during molting but miraculously, the birds adjusted their wing posture to make up for gaps in their wings where feathers were missing, and thus they managed to continue flying. If scientists can apply this strategy as well to drones, it is likely that drones will be able to continue flying even if their wings encounter damage during flight. The basic structural unit of creatures, the cell, is incredibly complex enough to leave people amazed. Just like the existence of a single cell, the harmony and cooperation in the cell is very impressive. As the structure of the cell and systems in it are further investigated and new details are found, this perfect order is seen more clearly. A single cell may be said to resemble a large city with its operation systems, communication networks, transportation and administration. The power plants generate the power used by cells; the plants generate the enzyme and hormones which are essential for life; the data bank including all information regarding the products to be manufactured; the complex transportation systems and pipelines transferring the raw materials and products from one region to the other; the laboratories and refineries separating the raw materials taken from outside into the useful parts; the expert cell membrane proteins executing the enter and exit controls of materials to be taken in or sent out of the cell create only a part of this structure. Just like cities, there is a dense traffic flow caused by the molecules like “moving on the boats”, “walking” and “taking hands” like people and by the “trucks carrying the organelles” in the cells. However, there is a great order in cells against the traffic congestion in these cities. An investigation demonstrating this smooth order was made in Exeter University in recent days and the results were published in the journal Nature Communications. This study has shown one more time that the dispersion of organelles in the cell is not random at all, and is caused by a motion depending on energy. As is known, organelles are specialized functional units of cells. The organelles for the cell are the same as organs in the body. Each organelle has special duties to ensure the sustaining of the cell. 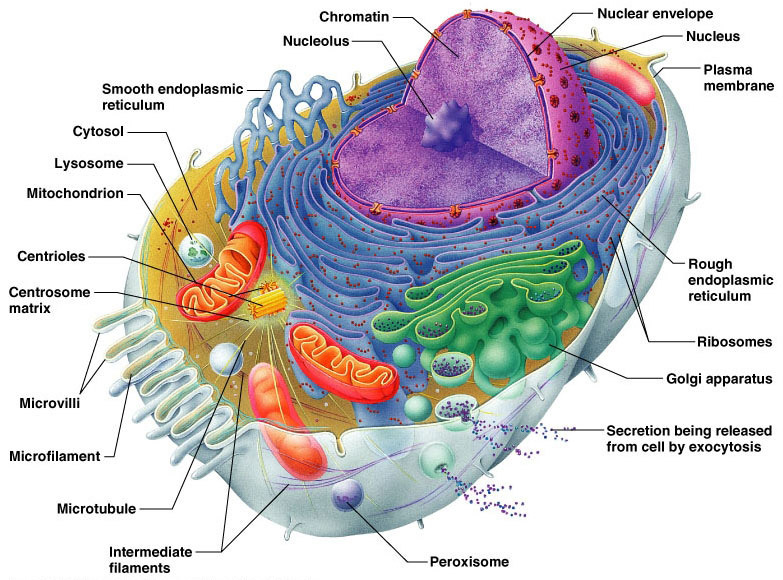 The order in the arrangement of organelles inside the cell is also exceptional. Let us review the results of the research showing how this positioning occurs in the cell. While evolutionists cannot even explain the origin of a single protein molecule, they keep up with their allegations that the cell came into existence through coincidences. The impasse of evolutionists is not limited with their not being able to explain how the protein and cell originated: Just like the order in the distribution of organelles in the cell, they are obliged to give an account for the existence of thousands of other mechanisms, and how inorganic molecules could give structure to such organizations that necessitate confounding consciousness, information and intelligence. An article published in the Science Magazine on December 8, 2016 was presented as a so-called proof of evolution. This article claims that some populations of killifish (Fundulus heteroclitus) living in the northeastern coasts of the US have adapted to the severe pollution, which was the result of toxic wastes (aromatic hydrocarbons) mixing with seawater due to recent increases in industrialization, presumably through the process of evolution. Again, it is alleged that this so-called evolutionary process developed rapidly and was repeated independently in different regions and produced the same results. Obviously in light of scientific facts, these claims of an evolutionary process have no grounds. The killifish were collected from eight locations along the 300 km coastline adjacent to the city of New York. The fish were paired in two populations: sensitive and tolerant to toxins. In these pairings, the distance between the specimens was as short as a few kilometers. In the article, it is suggested that tolerance to aryl hydrocarbon receptor-based (AHR) signaling pathways were rendered ineffective and caused this tolerance. As part of this claim, the Atlantic killifish supposedly lived in a location that was quite convenient to adapt to this fast and lethal change through a so-called process of evolution. Now let's respond to the inconsistencies and false conclusions in this article. As we have mentioned above, the fish samples are taken only from a very small range: In fact, the locations where the presumed sensitive and tolerant fish populations are said to be living are very close to each other. It is not possible for two killifish groups that live so close together to be isolated from each other. Fish that live in one area can be found in the other area after a while. Since they are not isolated, the sampled fish are but individuals of the same species that manifest different physical characteristics (phenotypes). This also demonstrates that the study was conducted erroneously right from the start. In fact, no matter where the samples are taken from which part of the world, the results will not change. Each individual killifish carries all the characteristics of the species but different individuals may have different phenotypes. These physical expressions can also lead to lethal outcomes in a variety of difficult situations. We can explain this with the following example. Every year millions of people catch the flu, which is an infection. A small proportion of these people lose their lives while most get through the disease alive. The reason some people die is due to the weaknesses stemming from their immune system or other factors. However, in general, those who remain alive or die due to the disease all have the same DNA structure. The human genome has the same structure in all human beings. The resulting difference is caused by phenotypes, which is, in turn, caused by the expression of the genes. The offspring of those ones who lived on after the disease may also be infected with the same virus. The situation is similar with the killifish; it doesn't mean that those tolerant to toxins are superior to those that are genetically sensitive. One of the claims in the article is that the AHR signaling pathways supposedly differs between sensitive and tolerant fish. While the AHR function is reduced in tolerant fish, it continues at normal levels in the sensitive ones. There is absolutely no evolutionary mechanism at work here. All killifish have AHR genes; the difference stems from the regulation of these genes. The important point here is that the AHR signaling pathways are also responsible for the continuation of many vital cellular activities. The immune system, cell division and hypoxia alarm are among these functions. While providing resistance against toxicants, these vital functions should also be regulated in equilibrium. Since the obstruction of AHR pathways would result in the failure of other vital functions and eventually death, it needs to be adjusted precisely. A conscious entity is imperative in achieving this. The basic assertion of evolutionists is that new features are being added to living organisms as a result of coincidental mutations, which occur in long periods of time. In this sense, to prove the allegations of evolution, it should be demonstrated that living beings have developed from simple to complex organisms. However, throughout the years, no evidence has been found to prove that life emerged through such small changes over the years. For such development to occur there should have been numerous intermediary forms between the initial state and the final state of living organisms but there is not even one intermediary form among the more than 700 million fossils discovered up until this day. Any member of a species appears on the fossil records as complete organisms, bearing every trait of that species, and maintains its existence along with its characteristics for millions of years. If the natural surroundings were not suitable for the persistence of that species, it would die out and become extinct, otherwise continue to exist up to our day. Feeling compelled to explain every biological phenomenon with so-called claims of evolution, evolutionists tend to explain any finding that is against their claims with the same prejudice. This allows us to notice once again the ideological grounds of evolutionary ideas, as these are not scientific at all. A person, who sees that life emerged instantaneously, should also accept that there is no such thing as evolution, and living beings have come into existence through Creation. However, in face of this truth, evolutionists try to account for the existence of a living being with terms like "evolutionary leap, spontaneous generation." These definitions are completely contradictory to the basic rationale of evolution, as we mentioned at the beginning. These are hollow terms and they never explain through which mechanism the life emerged because they can't. Evolutionary theory has no mechanism it can resort to, since life is created. Another fictitious term is "repeated evolution". Again, according to the allegations of evolution, if two living beings share a common feature, they must have come from a so-called common ancestor. However, there are numerous examples that contradict this. A similar evolutionist definition used is "convergent evolution" which makes the groundless claim that living beings with different features manifest a common feature over time. By defending that living beings diversified from a common origin over time (divergent), while at the same time defending a "convergent" structure, evolution in fact refutes itself. For example, Richard Dawkins says that the eye went through 40 independent evolutions. A theory, which cannot explain how a complex system such as the eye and vision formed as a result of coincidences, claims that such impossibility has been repeated 40 times. This only leads evolutionary claims to a deeper dead end for the theory. There is only one explanation for the fact that a magnificent system like vision appeared on different living organisms and at 40 different times; Creation. In fact, there is no "divergent" or "convergent" development; there is even not single evidence found which proves that living beings underwent a change over time. Evolutionists, as a requirement of their ideology, sink to dodging this fact by saying it is "repeated evolution." If we are to examine this article; it is another logical error to claim that the adaptation of killifish to the pollution, which arose in the last short 30-40 years in the New York region is indicated as a "rapid and repetitive evolution". The adjustment here is an example of adaptation, not evolution. The living being has encountered an environment that enables it to use a feature that it already genetically possesses. When faced with pollution, if these fish do not have the physical ability to cope with this difficult situation they will die, or otherwise, if they can cope with it, they will sustain their lives. We frequently come across evolutionist circles' attempts at utilizing the adaptability to various natural conditions, examples of which we encounter in many living beings, as Darwinist propaganda material. Variation, which means that individuals within a species manifest some minor differences from birth, is not caused by changes in the DNA, but from differences in working speed of existing genes. For example, if the growth hormone over-performs its function, the person will be taller and more burly; if it under-performs, the person will be shorter. If melanin pigment producing cells over-produce, the skin color will be darker; if the pigment production is lacking, the skin color will be lighter. As you can see, DNA structure is the same in all cases. It cannot be considered as an evidence for so-called evolution. Adaptation, on the other hand, is the ability to adapt to changing natural conditions within the limits allowed by genes. When a white-skinned person is exposed to the sun, skin cells try to protect the skin from harmful sunrays by starting to produce more melanin; thus the skin darkens. When the sun's effect is eliminated, the cells return to their old production speed and the skin color lightens. In the same way, the strength of an athlete increases with the increasing amount of protein in muscle cells. In this way, the athlete can lift three or four times more weight than before yet his children will not be born with strong muscles, because his genes have not changed. If the requirements of natural conditions exceed the limits of adaptation of the living beings, the consequence will be death; there is no spare time to wait. If you remove a fish from the sea, it will die after three or four minutes at most if it does not return to the water. No matter how many times you repeat this, it will not adapt to living on land, and the subsequent generations will not have the ability to survive more out of water. To claim that it can develop lungs over time is a ridiculous suggestion that raises a problem with claimer's mental faculties. Yet, the ability to adapt is an indication of God’s perfect Creation. Being able to respond to the changing natural conditions via changes in the organism is a proof of the manifestation of God’s wisdom in the cells of that living being. One has to ponder on: Who made the decision to increase the melanin production; moreover, Who possesses the knowledge that Sun has harmful effects on the organism? Or where is that power, which regulates the metabolism of the killifish in accordance to the changing lethal environment in the cell? In a dark environment, rendering some metabolic pathways more active in line with the knowledge of changes in the surroundings, while rendering others less active can only be undertaken under the control of an Intelligent Mind. As one can see, the ability of killifish to adapt to adverse conditions is not evidence for evolution. The fact that we are all created with the ability to adapt to the natural conditions is a gift from God to us all and to all living beings. And as a result of these, the present day is attained. Sometimes, a single tooth or a few bone fragments were turned into a whole body with modeling irrelevant to reality. What is more, that living being was even illustrated in an imaginary social life in order to increase its persuasiveness. At times, species completely different from one another that lived in the same period were arrayed from small to large just to present these to be on a so-called line of common descent. In fact, just out of ideological reasons, certain forgeries were invented to spread false news as if a "missing-link is found." Based on such fabrications, counterfeit scientific articles were published, and fake fossils were exhibited in museums for years. Some media organs have also supported all this deception, and even had no shame in presenting some old fraudulent claims to be new discoveries as part of their classical Darwinist tactic. The last example of this is a fossil discovery made in 2013 in South Africa, but announced to the world only in 2015. Recently, this matter was brought to the agenda in certain websites such as the CNN, Scientific American, and The Daily Mail on the pretense of being a new discovery. We have occasionally responded to similar claims intended to indoctrinate people with the Darwinist mindset that there were presumably half-man half-ape living beings, which had lived before. Yet, in this article, what this fossil actually is and the non-scientific allegations related to it will be briefly explained. More than 1,500 bone-remains claimed to belong to 15 different individuals were discovered in a cave in South Africa in 2013. Along with these bones named "Homo Naledi", Darwinist circles came up with their so-called "missing link" scenarios in 2015 and these fossils were introduced as "a newly discovered so-called hominid species". The findings comprised of not a complete skull, but what they had were worn-out parietal bones placed adjacently without full contact as if hanging in the air. Despite that, it was claimed that this living being had a brain size of 500 grams, with a volume the size of an orange. 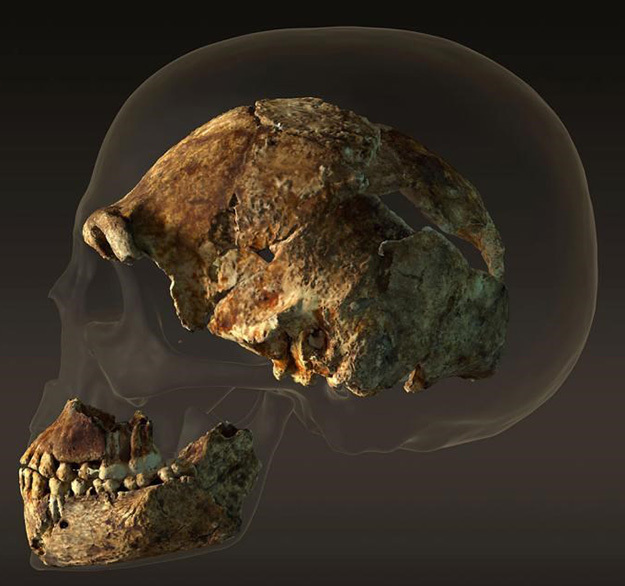 The allegation was that the Homo Naledi could have lived 2-2.5 million years ago. 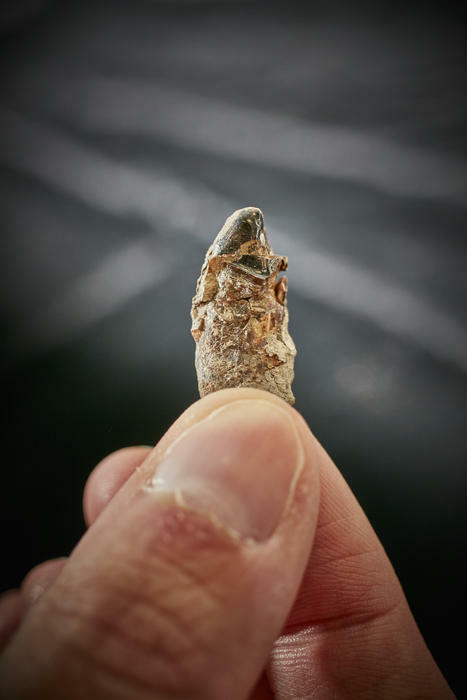 In addition, it was suggested to be a mosaic form "that could climb trees with curled finger bones, but had hominid wrists and long thigh bones." On top of all these, the pelvis bone found in fractured pieces was assembled to this construct just with the pretense that it could walk upright. It was also a matter of debate how these fossils found in a barely accessible cave, 1,450 meters below the earth, came there. The story told these could have been consciously thrown or buried by other members of the species, because there were no tools or other living remains with them. Certainly, 3D images and comparisons made with human beings were not left out in order to instill evolutionary ideas in people’s memory. The soft tissues such as eyes, ears, nose, skin and hair, which do not leave any residue in fossils, were fabricated as fictitious reconstructions. Although the maxillary and nasal bones were missing, the positions of the bones were determined by assumptions. Whether the pieces of bones brought together belong to the same individual or to different ones, if they lived in the same period or not, and if the body parts of other species ended up mixed with these remains or not, are some of the points waiting to be clarified about Homo Naledi. As it is seen, Darwinists persist with their unscientific attitude and ideological approach in presenting the fossils as well as their interpretation of the findings. This means if the fossils are older or younger than they are predicted, the missing link scenario written by Darwinists up until today will become totally meaningless. All these expound that stories told about Homo Naledi have no scientific foundation, but solely rest upon Darwinist prejudice. Lee Berger, the lead researcher on Homo Naledi, admits that the fossil findings do not correspond to any known human race. For that reason, Darwinist scientists have resorted to inventing a "new species" for the remnants of a fancy. For instance, while claiming that the fossil is a so-called intermediary hominid species filling the gap between Australopithecus and human beings, Berger’s assertions were partial and prejudiced in the face of research made on the bone discovery. This assembled skeleton bears the traits of chimpanzees with all features. The shoulder joints and curved finger bones are the same with apes hanging from branches of trees. The large innominate bones and the downwardly expanding chest cage are particular to the Australopithecus, an extinct ape species. Despite claims of similarity with human feet, the foot bones of this living being are unlike humans having a lower nominal curve with a different orientation. Although Australopithecus Afarensis is alleged to be the first ancestor in the so-called evolutionary tree of Darwinists, the thumbs of this being were longer than today’s chimpanzees or apes. This feature is utterly contrary to claims of evolution. In fact, Homo Naledi's thumb is even longer than that of Australopithecus Afarensis. This finding once again disproves the imaginary progress in the supposed evolutionary tree. 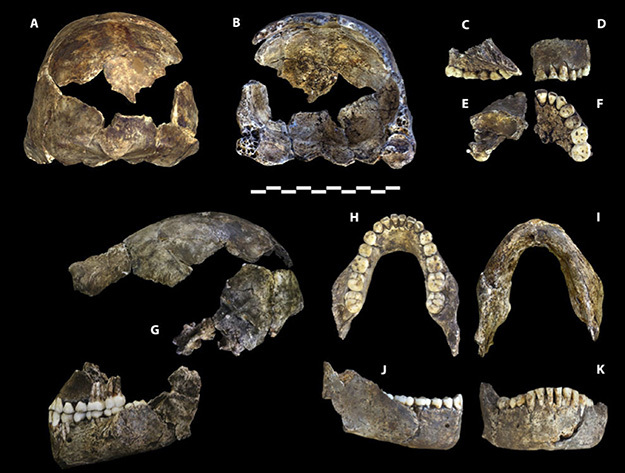 Having no parallels with human thumb, Homo Naledi remains are also quite different from the other fake “hominid” species in the imaginary evolution family tree. In addition, Homo Naledi's hand bears no similarity with the human hand in any way, its curved finger bones and other apelike features are further evidence that it is an ape moving around and swinging through tree branches. Even if Darwinists attempt at make-believe methods to draw parallels between chimpanzees and humans, it is impossible for this hand structure to grasp and use any tool as a human being does. What is more, no tools or artifacts belonging to human culture were found in this cave where the bones were found. Moreover, the teeth discovered Dinaledi cave does not bear a resemblance like human teeth at all. Those approximate to a smaller ape species when compared with the Australopithecus series, thus have no parallels or similarities to human beings. Findings about the history of man are based on fossil discoveries. However, since findings are often interpreted according to presuppositions of evolutionary theory, attaining scientific results is generally not probable. Even if a finding is contrary to evolutionary ideas, certain scientists approach such discoveries with prejudiced questions like, "How did evolution achieve this?" in order to keep the evolution theory alive. Or, they come up with irrational claims such as the "punctuated evolution". Today we see people with different physical characteristics due to the genetic diversity God has granted us as a splendid variety. For instance, traits like being short or tall, eye and skin color, and many others are at a great variety although we are basically the same human being. Such differences were prevalent in the past as well. Evolutionists come up with numerous inconsistencies by distorting this fact with their false claims of human evolution. They array human skulls of different volumes in contradiction and make up an imaginary diagram. Hence, the skull volume of Neanderthals alleged to be the so-called "primitive ancestor of man" is in fact larger than average humans today, and thus contradicts with evolutionary claims. With today's technology, the physical structure and buildup of the brain may be examined in detail even at microscopic level. The human brain has an average weight of 1,200-1,400 grams in different individuals. Functional differences have not been detected even though male and female brains weigh differently. Moreover, neural connections in the brains of intelligent people also display no disparity under the microscope. Albert Einstein, regarded to be one of the most intelligent people known, had a normal brain volume. Thus, all these inconsistencies show that neither a larger brain size is a sign of excessive development, nor a smaller skull volume is a deficiency. All of these are a part of the variety already existing in the human gene pool. 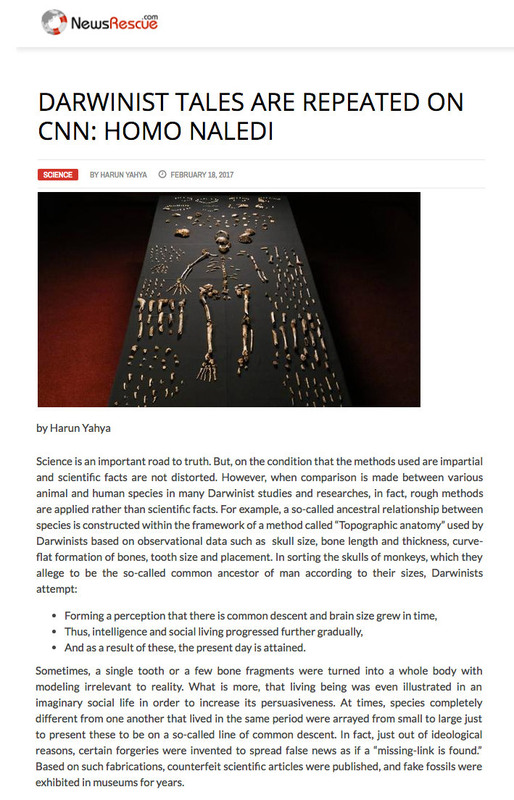 Physical measurements based on bone sizes, and making predictions about a living being based on such calculations is distancing from science and will lead to very wrong conclusions. Research made on the brains of living beings makes it clear that brain size and tissue are not proportionate to the intelligence or social development of individuals. In a similar way, it is nonsensical to conjecture guesswork on animals that lived in the past based only on anatomical measurements. While the dating of fossil findings cannot be made precisely, drawing conclusions based on these is only an ideological venture to impose the evolution deceit on societies. When we examine fossil findings, the striking outcome is always the fact of Creation. Every living being appears suddenly in the fossil record and bears all the features necessary for living right from its origin. This is a requisite for the organism to sustain its life. The fossil records show that living species have undergone no changes in the course of their lives, while some have gone extinct and others have persisted until today. There are several million ribosomes in a single cell. Ribosomes, which are protein production plants, have active roles in all the cells of the body. For example, combining the proteins in the cell to form larger macromolecular structures is among the tasks of the ribosomes. However, not all the functions of ribosomes, which are considered to be the "black box" of molecular biology, have been fully understood yet, and therefore new research has been frequently conducted on the ribosome. The study, the results of which were published in Cell Reports and The EMBO magazines in September 2016, is among these. With this new study, Würzburg University and Max Planck Institute researchers have shown that ribosomes also take on the role of being "a quality control point" as well as assuming protein production, which is the already known assignment of ribosomes. "Think of it as LEGO bricks at the molecular level: One brick is attached to the next until the product is finished. If only one defective or wrong brick is used, the entire building may be compromised as a result." Prof. Fischer's research focuses on the structures called "spliceosomes". These large RNA-protein complexes are an essential part of gene expression within cells (gene expression: the process by which genes with DNA sequences become functional protein constructs). Their job is to remove the sections in the messenger RNA that do not contain any protein-encoding information and unite the relevant sections carrying the information. Fischer's team, together with colleagues from the Max Planck Institute, identified a hitherto unexpected player in this process: The ribosome. 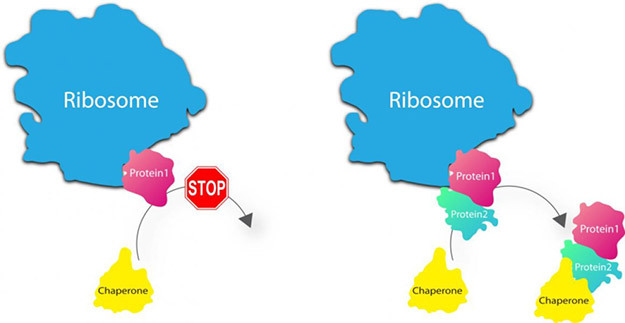 Contrary to the conventional view, the ribosome does not release individual proteins directly into the cytosol after synthesis (left). Instead, it holds the protein back until chaperones deliver the matching counterparts (right). In this way, the ribosome assures that only the one intended structure is formed thereby adopting the role of a quality inspector. Ribosomes use the DNA copy that comes from the nucleus as the messenger RNA (mRNA) in protein production. Two large protein-RNA subunits constitute the ribosome; proteins and helper factors. Hundreds of structures comprised of RNA molecules contribute to this operation. The mRNA is commissioned with conveying the genetic code of the DNA from the nucleus in complete form. The mRNA, which is the information band, carries the genetic code to the ribosome. This task is then read by the ribosome and a new amino acid (building block of proteins) is added to the protein chain. At the same time, another RNA molecule, called transfer RNA (tRNA), presents amino acids one by one to the ribosome and this is how protein synthesis takes place in accordance with the genetic code. But at this point, one important question comes to mind: If proteins are released randomly into cytosol (part of the cytoplasm composed of water and water-soluble molecules) by the ribosome after the synthesis, how do the proteins that roam alone assemble correctly in order to constitute macromolecular machines? It is impossible for proteins that were released individually into the cell interior by ribosomes, where they roam about, to find their matching counterparts "by chance". "The interior of cells is much too crowded for this," says Ashwin Chari, project group leader at the Max Planck Institute for Biophysical Chemistry. Even if the protein succeeds in finding its matching counterpart, this encounter would take far too long . The reason for this is that the protein would have to find its matching counterpart by means of trial and error. It is inexpedient for the protein to find the right match and pair off. For this reason, most encounters will result in the formation of erroneous structures and this, in turn, would cause severe diseases such as Alzheimer´s. Elham Paknia, who experimentally headed-up the entire project, points out the necessity of a perfect order that governs these processes: "Therefore, a mechanism has to exist in living cells, which protects the newly synthesized proteins at the ribosome and only allows them to associate with their correct counterpart." Obviously, a ribosome does not randomly release the proteins into the cytosol after synthesis. It holds proteins back until specific helpers, called the chaperones (accompanying proteins that take part in the process of folding proteins into three-dimensional forms) deliver the matching counterparts. In doing so, the ribosome assures that only the one intended structure is formed. Therefore, the ribosome adopts the role of a "quality inspector" in addition to production. This event, summarized in general terms above, is actually the result of very complex intermediate processes. The miraculous processes that are uncovered as we dive more in details are beyond human comprehension. This is because any errors during the assembly of spliceosomes may also cause diseases. For instance, spinal muscular atrophy is one of these diseases. That disorder is characterized by the loss of motor neurons, especially in the spinal cord, causing muscle wasting and paralysis in affected individuals. Protein misfolding is also believed to cause various other diseases from diabetes to Alzheimer's. In other words, even a slight error that occurs during these complex operations causes permanent damage and diseases. - By which discretion can the cell, which is made up of unconscious molecules that cannot be seen with the eye, decides to produce certain structures? Since decision-making is an ability that is entitled to conscious beings who can think and evaluate. - Who created the protein equipped with qualifications that enables it to recognize this match-up in the following steps? - With which sense of responsibility and reasoning does the ribosome not release the protein until it carries out the correct matching process? - How does the protein know that is has accomplished the right match-up? The answers of these questions are clear: Almighty God, Who is the Creator of all living beings, has created this perfect system, placed every detail where it is supposed to be, and ensured all processes work in harmony.